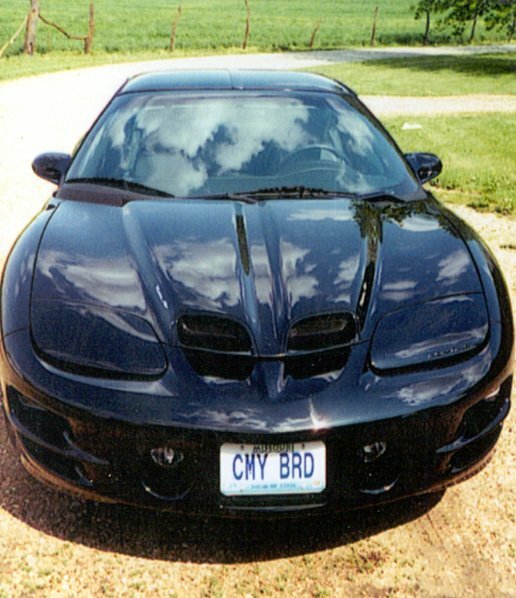 "I noticed on your website that you were wanting pics of a 2001 Firebird. 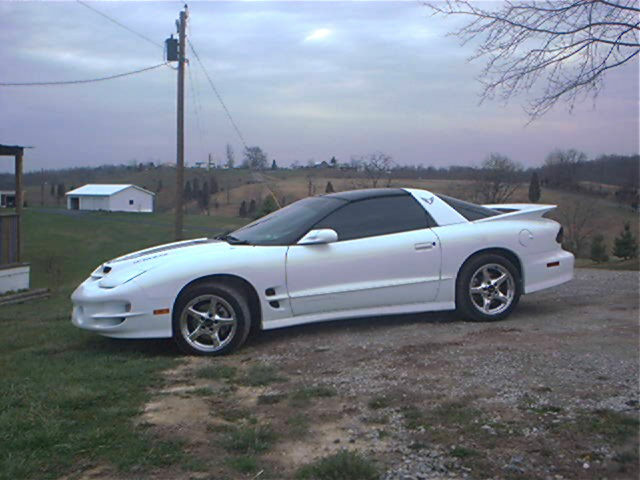 I have a 2001 WS6 Trans Am. I'm sending you 4 pictures. This picture also has my boyfriend's show truck in it. 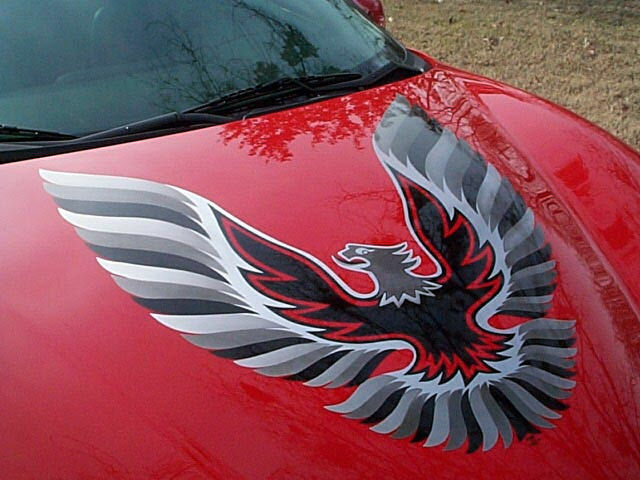 The other 3 pics are of just my car ("Da Bird")!!! 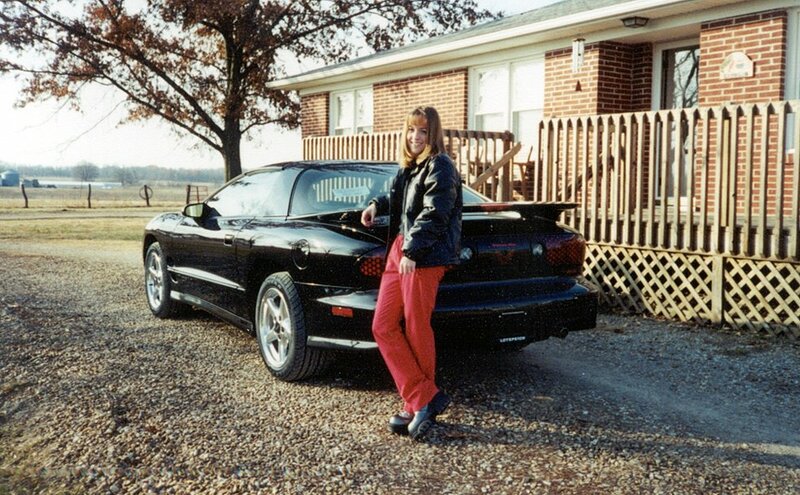 The pictures were taken shortly after I got "Da Bird" home in the winter of 2001!!! The third picture down was taken after I Pro-Packed it for the 1st time in the spring. I also took a close-up picture of the surface and it looked just like a mirror instead of the surface of a car." 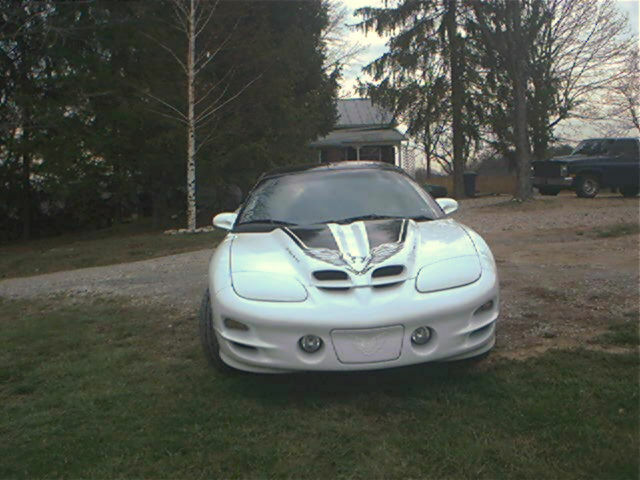 "This is my "Baby Bird" 2001 Trans Am WS6/LS1 High output with a 6-speed hurst shifter. She's very impressive! I think her pics should be on your website so everyone can see for themselves. 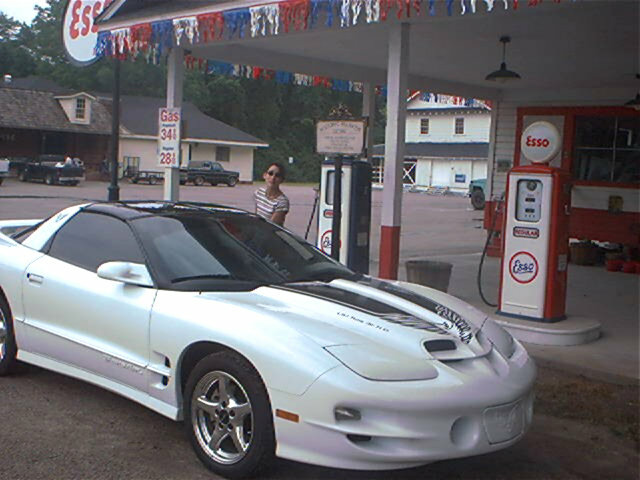 I've attached a few pics of her 1st road trip from West Virginia to Florida in summer of 2002." 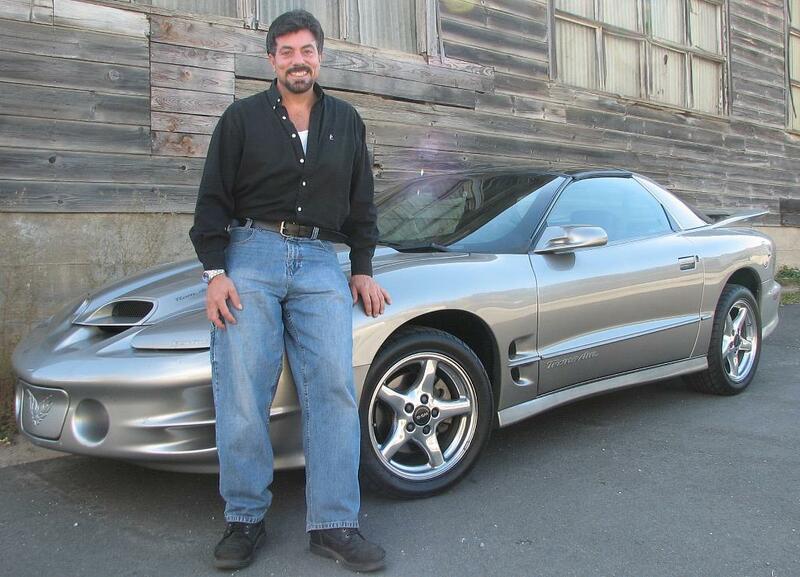 "This is my 2001 Trans Am. Its all stock except with options of traction control a 3.23 performance rear end and power steering cooling system. 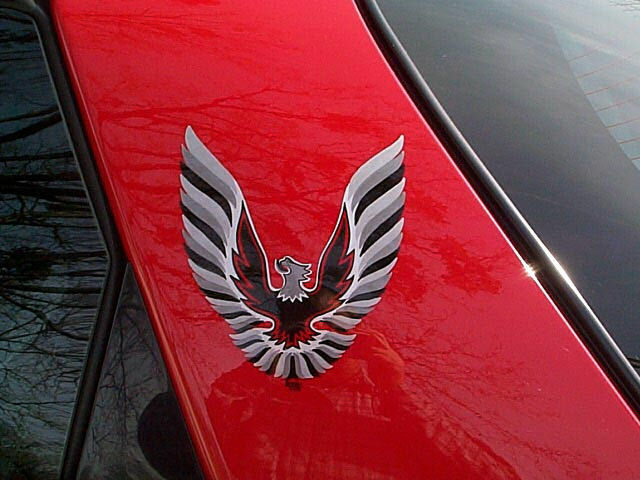 My first Trans Am was a gold 1979 with a beautiful large bird on the hood. 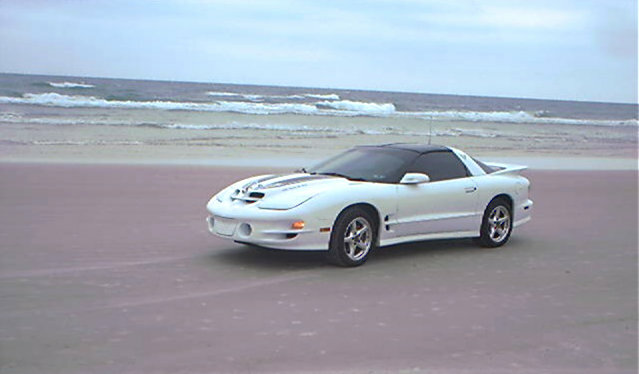 When I bought my new Trans Am it was pretty but missing something? 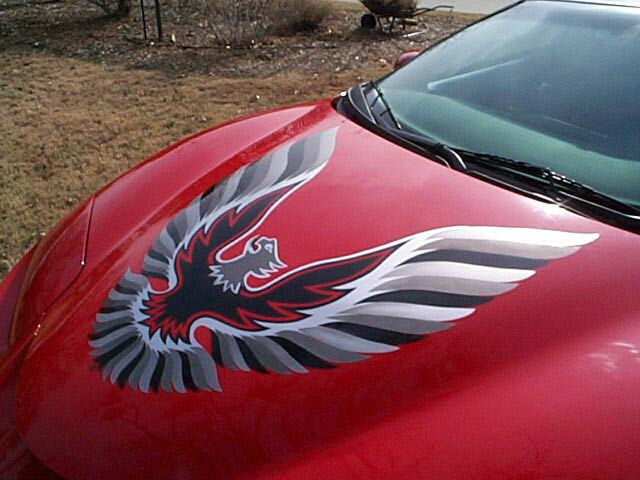 So I decided to have a custom paint job done with the large bird on the hood and small ones on the sides, to remind me of my first firebird. The custom paint job was done by bobbo a well known airbrush & lettering artist. 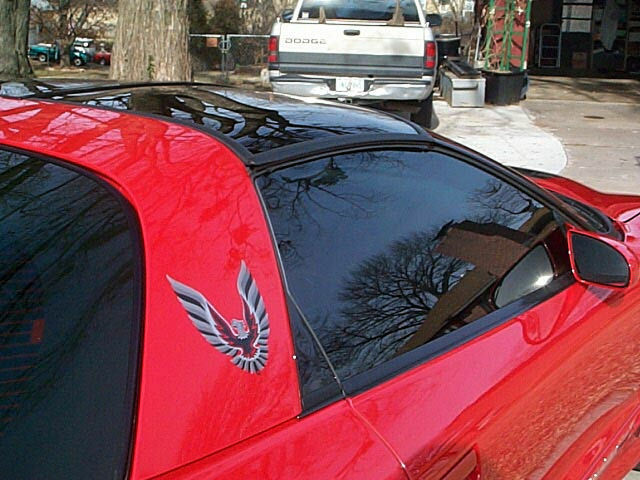 I hope other firebird fans enjoy seeing my bird as much as I enjoy seeing theirs." "It's good to hear that you're back on the TA site maintenance. It is excellent. I get all fired up perusing through it... 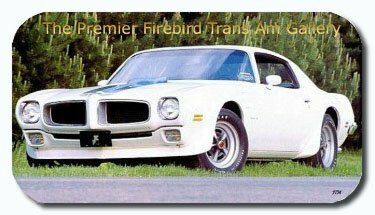 Although my first wife's family was involved in the local Trans Am club, I only enjoyed the idea of owning one myself for many years. 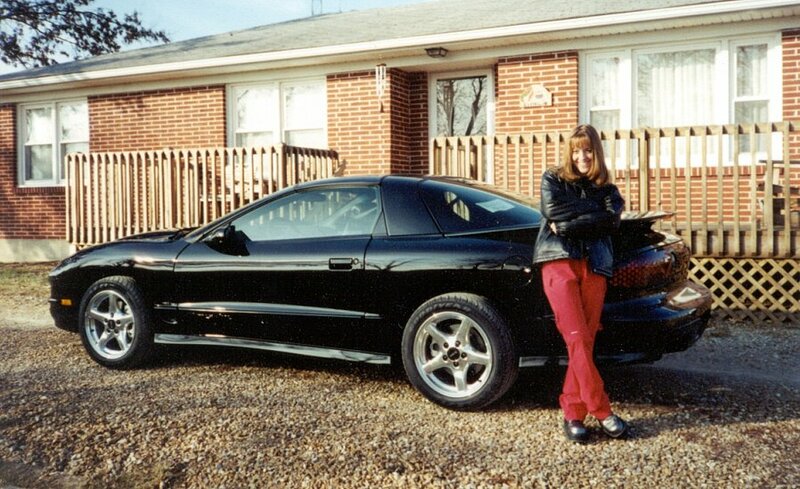 The club's enthusiasm wore off on me and I pined away for years before I finally bought my first Firebird. It was a 1997 3.8L V6 and I love it still. It was a terrific transition car. I always thought of it as scary-fast and with that long front deck, took a bit to get used to. It's white and real looker. I kept it stock and look forward to getting a new motor for it. When I moved out of the city I took it upon myself to get the car I really, really wanted. 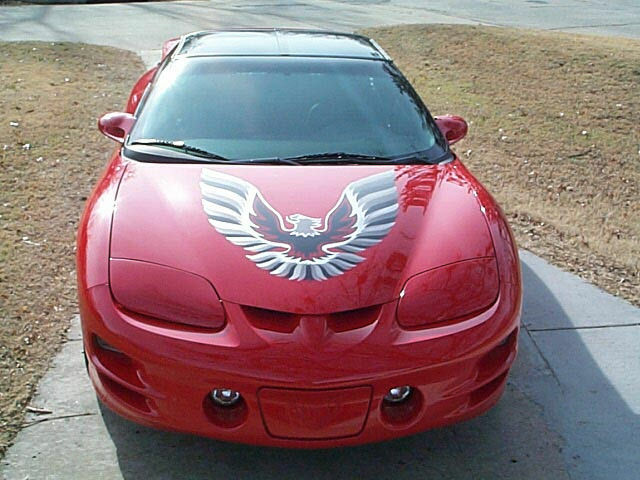 It had to be a 2001- or 2002 Trans Am with everything! 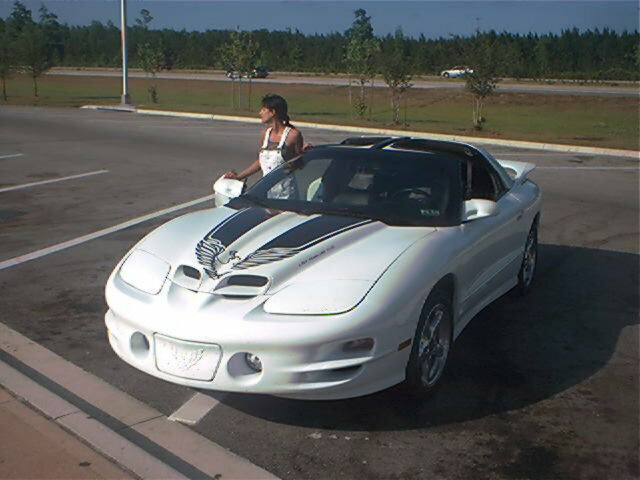 5.7L V8, ws6 suspension, Ram-air... 10 speaker Monsoon sound system... T-tops... THE WORKS! It took quite awhile for me to finally find it. The local auto dealerships failed to help. I looked for about two years. Then I found it, hundreds of miles away up North (you know the story as told previously). It's the best car ever and worth the wait. I'm so glad I didn't put off getting it any longer. You only live once, and I like to do things that make me happy and driving this car in the Mother-lode of California is like a dream. The mountain highways where meant for TAs... sooo perfect! Woo-Hoo! My TA is all stock and I love it! The look on my face says it all!"